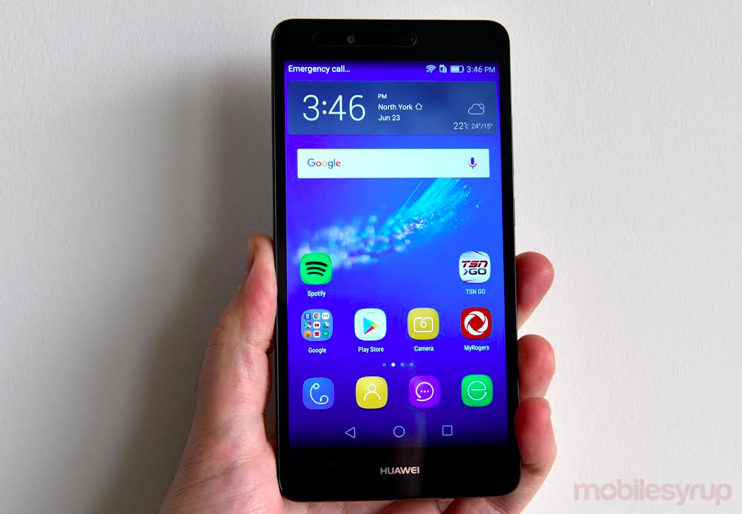 In many ways, Huawei is a brand without an identity in Canada, though the company has invested fairly heavily in the country, particularly in selling network equipment to the carriers. Its best phones under the Mate and P lines never see the light of day, so a mid-ranger in the GR5 is essentially the only option. Technically, the Nexus 6P is Huawei’s premium device in the Great White North, since it is manufactured under Google’s auspices, except it doesn’t promote it as such. And so, we’re left with an unproven entry into a tight mid-range market. It’s not often that a mid-range phone comes in a metal body, though there’s more than meets the eye on that with the GR5. This phone is essentially a repackaged Honor 5X that was previously released in other markets, save for some tweaking under the hood to give it a little differentiation. Or to cut corners, depending on how you look at it. The GR5 has 2GB of RAM instead of 3GB on the Chinese variant of the Honor 5X. It uses the Snapdragon 616 processor when it probably could have gone with the 617 or better, which likely wouldn’t have cost as much to deploy. 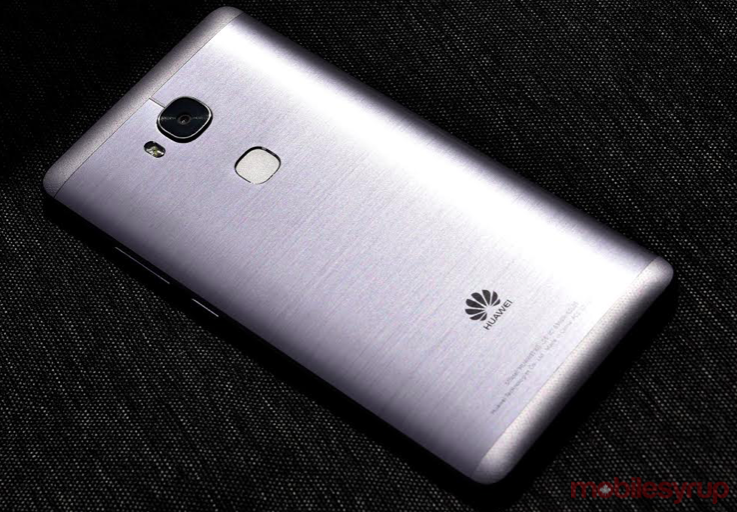 It runs on Android 5.1.1 Lollipop – though more egregiously – it has an aged UI overlay in Huawei’s own Emotion UI (EMUI 3.1) that messes with Android a great deal. All this on display on a 5.5-inch 1080p IPS screen that is fairly vibrant, coupled with a fingerprint sensor in the back, which is very much in vogue these days. Despite the size and metal body, the GR5 never felt heavy or overly unwieldy for me. The protruding lens on the rear camera is noticeable, but not outlandish in an otherwise smooth surface that looks nice and classy. The lack of NFC is not a surprise, given the metal body, and its absence basically means mobile payments aren’t an option here. The dual SIM tray, which would be a boon for users who travel and don’t want to keep swapping cards, is unfortunately disabled in the GR5. The 16GB of internal storage is offset by microSD expansion up to 128GB, and it may prove to be necessary because of how weighted Huawei’s EMUI truly is. Almost 6GB is taken up by the system out of the box. To me, that was an unacceptable scale for a flagship Samsung device, much less for a mid-range handset from a company still trying to gain some credibility. 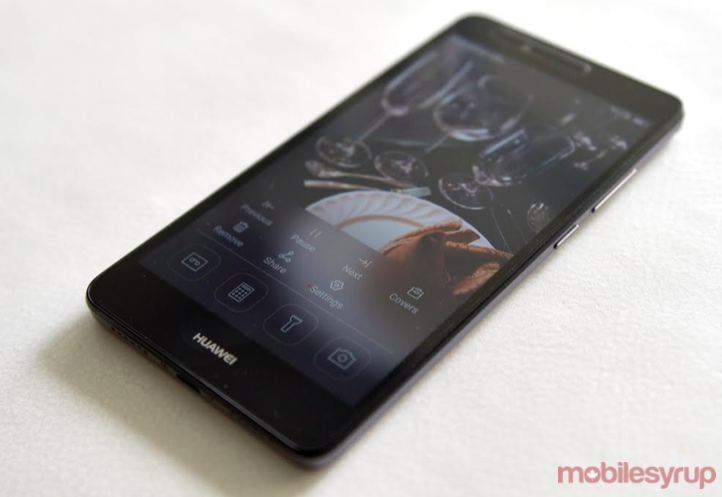 It’s unclear whether Huawei’s intent was for simplicity, or that this UI is its interpretation of what it thinks users will feel is simple to use. The lack of an app drawer will surely vex some, but that’s an easy fix through Google Play. The unusual lockscreen that includes the notification shade and a control shade from the bottom (called Magazine), both of which need styling help, is at least laid out with some nice stock photos. The notification shade, in particular, is a significant miscalculation in design language. Why Huawei would spurn a dependable layout from stock Android and replace it with something that borders on a test at the optometrist is difficult to comprehend. White text on a dark background makes sense, but light grey? Or even worse, Gmail notifications also using black text? In trying to utilize a notification setup that was focused on specific time and app, Huawei bungled the style to the point where it becomes a significant downgrade from the best stock Android has to offer. It also handed off other settings shortcuts to the Magazine shade at the bottom on the lockscreen when it really didn’t need to. This is the sort of thing other manufacturers have already realized, resulting in far more restrained interfaces on those devices. Once on the home screen, the layout is pretty barebones, though I was puzzled to see Rogers apps take up space in lieu of more important ones like the Camera and Calendar. Of course, icons can easily be moved around, but some foresight in that regard is always appreciated. The custom icons Huawei uses seem to be cutesy in that they are like pencil drawings, but they aren’t really well thought out. Again, there are always ways to customize such things on Android, but customization should be a choice of personalization, not a necessity to right a wrong committed by the manufacturer. Granted, these are visual gripes, for the most part, but they have tangible consequences. When the operating system doesn’t feel intuitive, it can permeate the full breadth of the device, which is exacerbated in this instance because the phone runs on Android. Navigating around the phone was easy enough, and it started out smoothly, but I do wonder how a taxing interface like EMUI might weigh on the 2GB of RAM. There’s a reason the Honor 5X had 3GB of RAM. The processor is also not the most battery-friendly. Once I started streaming video or playing games, the drop was noticeable. The Quick Charger that comes with the device can help offset that loss, but I suspect that battery life will be affected more significantly as the GR5 is tasked with doing more. Not knowing what to expect with the rear camera, I came away pleasantly surprised at the overall composition of the images I shot. Now if only Huawei can figure out how to do auto white balancing properly under certain lighting. With a reasonably fast focus and quick shutter, the GR5 is capable of better shots than some other mid-range phones I’ve tested in the last 12 months. It doesn’t have a manual mode, but at least keeps the gimmicky nonsense at bay, for the most part. An aptly titled mode called “Good Food” is aimed at shooting whatever dish you’re about to inhale, though I wasn’t sold on its merits. Same with Beauty, which softens tones and removes blemishes using a slider. All Focus is a depth of field mode using software trickery. Best Photo snaps a burst and automatically chooses the best one, which it mostly gets right. Audio Note lets you record up to 10 seconds of audio after snapping an image. The other modes, notwithstanding, the camera’s overall performance is mostly good, with even low-light shots not turning into a noisy mess. The problem is in white balancing, particularly when shooting indoors. The GR5 struggles to adapt, and when it settles on a setting, it usually overcompensates, leading to a dreary desaturated image that has little life in it. Outdoors, it fares much better, tending to be more balanced in how it applies white balancing and shutter speed. Shooting action will get you nowhere with this phone, but at least you can capture most outdoor moments with little know-how. 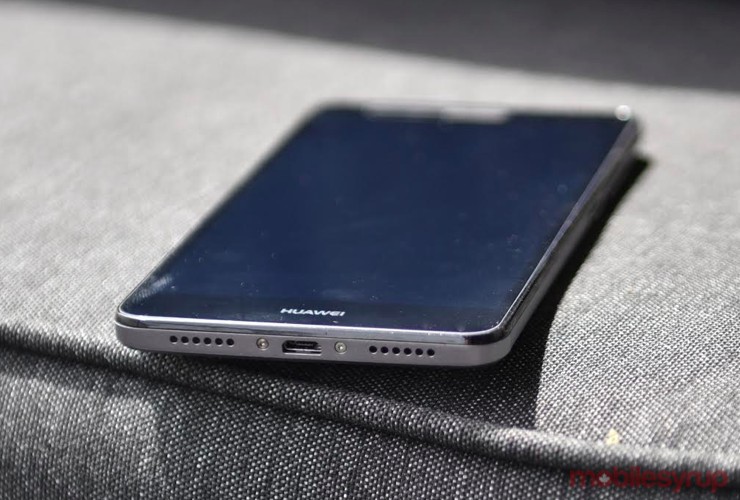 The Huawei GR5 is a classic case of a pretty exterior that is a heavy mixed bag on the inside. The EMUI overlay strips too much out of Android, leading me to ponder what this phone might have been like if Huawei had opted to make the experience a little more stock. The concern I came away with in using this device is its longevity. Storage will be an issue without a microSD card. RAM could be a problem once the device is populated with apps and data. Then there’s the price. Rogers is offering the GR5 for $0 on a two-year contract or $375 outright. That’s expensive, considering the Moto G4 Plus is $400 unlocked and offers both Android 6.0 Marshmallow (including a clearer path to future updates from Google) and a more vanilla version of the OS. I’ve also found the camera to be better all-around on that device in my testing so far. The upcoming Sony Xperia mid-range phones may also prove to be better choices than what Huawei has presented here. If the GR5 launched in a less crowded segment of the market, it might have garnered some attention, but when you’re trying to stand out from the rest, it’s best to get the overall user experience right.